Philip Yancey. The Question that Never Goes Away (Zondervan, 2014). Philip Yancey launched his illustrious publishing career close to forty years ago with the publication of Where is God When it Hurts? 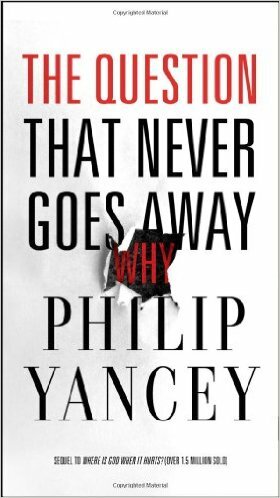 In his aptly titled 2014 book The Question that Never Goes Away Yancey returns to the enduring question of evil and suffering: why? It should not be a surprise to anybody that a mother facing the all-consuming agony of losing a child will not be comforted by any “theological explanation.” But that is quite irrelevant to the truth and importance of theological explanations. 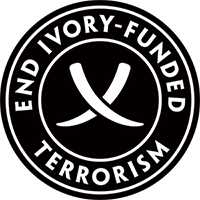 There is a time and place to explore theological and philosophical attempts to reconcile the divine nature with evil states of affairs. And measuring those efforts by their adequacy at providing comfort reflects a confusion of categories. They should be judged, rather, by their internal coherence and the evidence for them. Not surprisingly, Yancey does offer a theodicy of sorts in these pages. And while there are genuine pieces of wisdom and insight complemented by Yancey’s eloquent prose, it seems to me that his apparent decision to judge theodicies by the standards of pastoral theology rather than biblical, systematic, and philosophical theology lead him to make some questionable assertions. For example, while Yancey concedes that God can redeem suffering, he appears very uncomfortable conceding that there is any providential intent behind the initial occurrence of evil. For example, he writes: “I resist those who assume that God sends the suffering to accomplish the good. No, in the Gospels I have yet to find Jesus saying to the afflicted, ‘The reason you suffer from hemorrhage (or paralysis or leprosy) is that God is working to build your character.” (96) Elsewhere he writes, “Never do I see Jesus lecturing people on the need to accept blindness or lameness as an expression God’s secret will; rather, he healed them.”(61) But again, it is simply fallacious to judge the quality of a theodicy by whether we (or Jesus) would share it with a person in the midst of suffering. But what is particularly revealing is how Yancey denounces any linking of the punitive divine will to natural disasters. He states: “Theories ascribing disasters to God’s judgment end up sounding more like karma than providence.” (60) To be frank, that’s a very strange comment given that the Bible repeatedly attributes natural disasters to a punitive divine will. According to the biblical authors, God punitive causes plagues (Exodus 7:25-8:32), disease (Exodus 9:1-7), floods (Genesis 6-9), volcanic eruptions (Genesis 19:24), storms (Exodus 9:13-35), hail (Joshua 10:11), earthquakes (Isaiah 29:6), and drought (2 Chronicles 7:13-14). Whether you choose to call this “karma” or not, it is thoroughly biblical, and Yancey does his readers a disservice by ignoring this material. Another theme in the book’s final pages is ecclesiological. In short, while the question where is God? is important and must be asked, it should be complemented by an additional question: Where is the Church? And thus, if people want to find God in this world of suffering, they can often look to the Christian workers in Japan, the Franciscan monks in Sarajevo, and Walnut Hill Church in Newtown (149). Perhaps the most important theme in the book is hope. Yancey notes that far from shaking one’s faith, suffering often renews and deepens faith. He presents the example of Archbishop Desmond Tutu whose faith was forged through two years as head of the Truth and Reconciliation Commission in South Africa (121-22). Through this experience Tutu did not discover the answers for why, but his faith and hope were deepened nonetheless. In conclusion, from the perspective of theological and philosophical argument, The Question that Never Goes Away is a mixed bag as it muddles categories and makes some dubious assertions. But as with all Yancey’s books, it is eminently readable, it does convey some important theological points through vivid prose, and above all, it gives hope for those who suffer. Given that this is undoubtedly the book’s primary goal, one might call it a success. If you enjoyed this review, please consider upvoting it at Amazon.com.